One of the leading instigators of the opioid crisis is trying to sell his drugs to save people from deadly overdoses, but the company swears that it won't pocket profits. This week, the pharmaceutical company Purdue Pharma announced that its experimental opioid overdose antidote has been assigned a "Fast Track" designation by the Food and Drug Administration. The state is thought to accelerate the process of reviewing new drugs for serious conditions that are not otherwise covered by existing treatments. 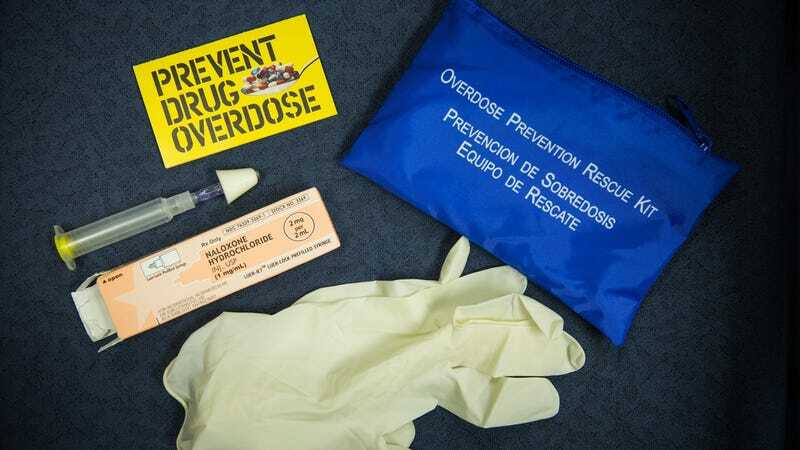 In this case, Purdue states that his drug, derived from the opioid antagonist nalmefene, could be a more potent and longer-lasting version of naloxone, the only drug currently approved to reverse the effects of an opioid overdose in an emergency situation. Purdue's aggressive marketing of his acclaimed opioid pain reliever Oxycontin has played a crucial role in increasing the rates of opioid use disorder among Americans in the 90's and 2000's. And even after the company and its executives pleaded guilty to deceiving the public about the risks of drugs in 2007, state and provincial lawsuits accused Purdue of continuing to profit from misleading opioid marketing, all turning to a eye by doctors who flooded the black market with their medications or prescribed dangerous doses to patients. It is from one of these lawsuits, presented by the Massachusetts Attorney General, that we know that this is not the first time that Purdue has launched the idea of ​​selling an overdose treatment alongside his painkillers. According to documentary evidence collected by the prosecution and from the time they were opened by the court, Purdue executives discussed their hopes of entering the lucrative and "attractive" drug treatment market as early as 2014, even going so far as to develop a code -name, Project Tango. At the time they were weighed by buying the rights to sell Narcan, the spray version of the branded naloxone and Suboxone, a version of the opioid craving and the drug withdrawal buprenorphine administered through a film placed under the tongue. In a statement released to Propublica and Stat News this January, Purdue stated that he eventually decided against both moves. Instead, it seems that he has decided to compete with Narcan. Hoping to curb some of the predictable repercussions, however, the financially distressed company promised in its announcement that it would "work to pursue this option with the commitment not to profit from any future sales of this drug." Last fall, he also committed to donating $ 3.4 million to non-profit organizations Harm Reduction Therapeutics to fund the development of a generic version of naloxone spray. Purdue's experimental drug does not necessarily have to be much of a cash cow. His version of nalmefene, a nalmefene hydrochloride (HCI) injection, was already approved by the FDA as a drug for the reversal of opioids in 1995, under the Revex brand. But in 2009, the drug manufacturer decided to stop producing Revex, claiming it was only for business purposes. A subsequent FDA investigation, published in 2017, found that Revex had not been shelved because it did not work or had dangerous side effects. (Indeed, nalmefene is currently approved to help treat alcohol dependence in the EU). The decision, added the agency, also paved the way for the approval of nalmefene HCI in the future, once again without problems. And at least one other pharmaceutical company, with the blessing of the federal government, is pursuing its nasal spray version of nalmefene.